Roofing leaks are the most common roofing problem as a result of wear and tear or weather changes. Sadly, many people do not realize they have leaks until it is too late. 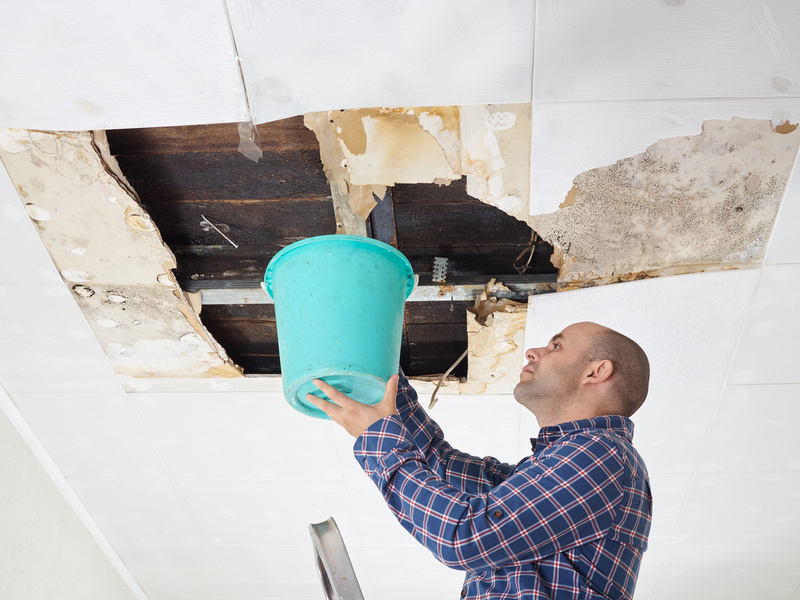 If you notice any water damage inside the building, chances are you have a leak. Tracking the source of a leak can be challenging, so you should call a roofing contractor to help. Once you know where the leak is, repair is not as challenging. If you think you have a leak, the first place to check is any penetrations, such as vents, ducts, or dormers. These are common places for leaks to start. Check the building for water stains, mold, and black marks. If you notice these, you likely have a leak and need to contact a roofer to inspect the property and repair any damage. Some leaks can be tricky to find. A professional roofer can find these by soaking the roof with water and watching for leaks on the inside. In some cases, the drips or water appear far away from the actual leak. This is common in roofs where plastic vapor barriers are installed within the insulation. A roofer will be able to move this aside and find the smallest leaks that could be hiding from your eyes. Check the vents: Plumbing vent boots can be made from plastic, metal, or both. Plastic can crack and metal seams can open, so the vent boot is a good place to start looking for any leaks. Any broken seams or cracked plastic pieces should be replaced immediately before serious leaks happen. When you are replacing the broken or cracked vent, you should replace all nails with screws as these interfere less with the roofing material. Dormers: Water can leak from above the roofing, especially if the weather is severe. Cracks in windows, dormers, and siding are all possible and will allow water to reach the inside. Before calling a roofer, check the edges with a knife to identify any leaks. The caulk will need to be replaced by a roofer if any cracks are found. Flashing: Most buildings have flashing installed where the walls intersect the roof. Flashing helps to move water away from the roof and with time they can rust, weaken and allow leaking. If you see any damaged or rusted flashing, it needs to be repaired immediately. Call us today to inspect your roofing and we will help you to find any leaks. We have the experience and skills to get every leak fixed to keep your roof in optimal condition for longer.